Note a similar post was first done on Aug. 16, 2008. But the picture site I used for the blog, Imageshack, must have some limit on the number of times the picture is shown. I am using it on a free account so it's the old you get what you pay for. Over the months I noticed this picture (and others ) don't always display. Any readers know more about this problem - please comment below. I learned today that there are miniature cattle. In fact there are various breeds of mini cows and mini bulls. Now I don't have the land or inclination to become a cowboy anytime soon but it might make sense to start small. One big benefit of the mini cattle is less feed and land for grazing. I read at one site that 3-4 acres is enough for a few of them. So if I ever move out to some western state maybe I could start ranching on a real small scale. Might not be a bad idea for getting fresh milk. Some people get them for pets. Remember the pot belly pig pets about 20 years ago?? I think a mini bull would be better. Thanks to Little Moos for the above picture. I wonder if they can moo very loud. 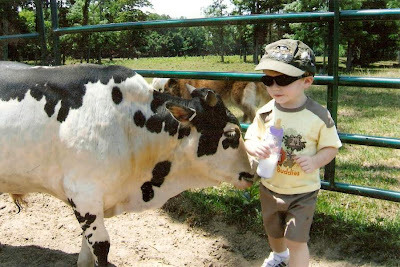 This link has other links about mini cattle and also an active message board. If you happened here looking for mini cattle info those links above should be good, but if you are interesting in odd fun stuff check out my other blog. If you want a list of other strange posting I've done here then click this. Here's some more posts about pets. Also, I checked those links above in the original post and they are still good links. OH if you know MORE about mini cattle/cow/bull PLEASE leave a comment below. I saw something on PBS about mini cows in Cuba. ... another thing to consider is their contribution to global warming - I think that in New Zealand they have a sheep and cattle 'Fart Tax' - would farmers get a rebate if they went small? I don't know if I would have one in my garden, but they are so cute!!! @onestonedcrow - wow someone actually looks at the ads. they change all the time so thanks for the snapshot. 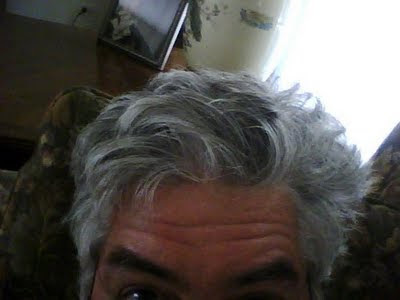 @angelshair - thanks for dropping off a comment. please check out some of my other pet related stuff. So thats where childrens, and old folks small portions come from. Only joking, they are cute. Is this one more of the genetically modified animals that humans are messing with nature? Or are they of the small kind? If yes, then they are cute. I understand from my son that now "scientists" are working on cows that do not feel pain so that we humans can slaughter them without guilt! I apologise if I sound a little short. This is definitely not the right place to vent. Really cute picture lisleman :) Thank you. @ocean girl - the cows may have been breed for size but we been breeding cows for hundreds (?) of years. I didn't know about the painless type. I suspect you were thinking of something more in the lab dish than the older breeding methods. That is a subject that needs much discussion and I'm no expert. Do you eat meat? I don't eat meat or dairy, but I'd love to have one as a friend. @nothing profound - I don't know any owner but I suspect some are kept as pets.